Why is napping so important at daycare? Children are not allowed to attend daycare with eyes that are red and/or eyes that are weeping with clear/yellow or cloudy drainage. Eyes must be completely free of drainage both running and dried drainage around their eyes before they can return to daycare. 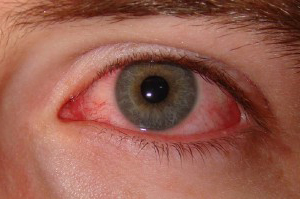 I do not accept Dr.'s notes allowing children to return to daycare after treating conjunctivitis if the redness and drainage are still present.